The theme of the week has been “focus” and by that I mean the amazing ability of the human mind to concentrate on one thing to the exclusion of almost all else. To illustrate what I mean, just reflect on what happens when we watch a television program. We do not see the TV screen, controls, or the “stuff” around it. Or to be more precise … we do see it but we do not perceive it. Even our Mark I Eyeballs have evolved to “focus” and I do not mean just the clear bits that create a sharp image on the light-sensitive layer at the back (the retina). Our retinas are not like a video camera … not at all … they have a very high resolution bit at the center which is quite small, and a rather low resolution bit that surrounds it and that is much bigger. But we do not perceive that … because we have some very advanced data processing wetware … and the process actually starts in the retina. And our eyes are always moving … just observe someone else’s eyes when they are looking at a picture or reading a book. If the cameras in a TV studio did that we would complain! The answer is that our advanced data processing wetware is scanning, but not in the way that a radar scans … in a mindless cycle. Our eye scanning has purpose … it is driven by the mental model inside our heads that is looking for information, and the search is based on what we already believe and perceive. 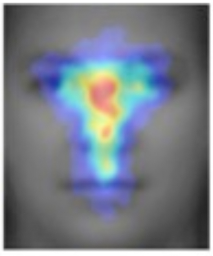 Psychologists have studied this using cool technology that tracks the eye position and works out what the person is looking at. And what they found was surprising. And it is a very fast process, and it happens out of awareness, and it is hard-wired and it is automatic. After initial recognition we will focus on the eyes and mouth because, as the Greeks said, “the eyes are the window to the soul“. We need to infer what the other person is thinking … unconsciously. And the good news is that this amazing ability to focus is not completely automatic … it can be directed … rather like a radio can be tuned to specific frequency. And when we learn how to do that as individuals the effect is surprising. And when we learn how to do that as a group, in synergy, the effect is amazing!